How Widely Held Is Apple Across the ETF Space? In this session, we looked at how looking at projects that are already in place can help both improve the investing process and to make better decisions going forward. 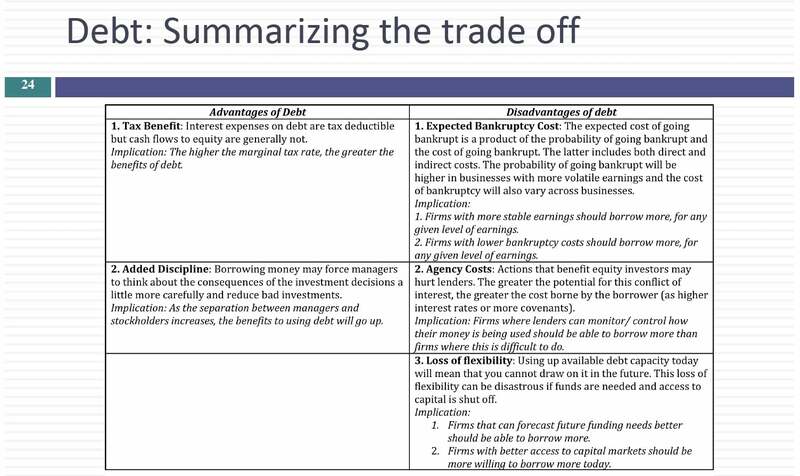 We then turned our attention to the financing principle, and the trade off between debt and equity. So let’s finish up. On investment analysis, so far we’ve talked about where they can invest right. Look at the net present value of it’s greater than zero except the investment of less than zero reject investment. And if everybody followed the rules every investment should be a good one. I mean I’m sure that even the worst investment in the face of the earth there is some net present value analysis that somebody has done that showed a positive net present that. To today want to mop up. So you’ve taken a project let’s say a 10 year project two years into the project. And things are different from what you expected they could be higher or lower. And it makes sense to actually look at existing projects. This is something you think companies do routinely but it’s amazing how companies once they take a project never go back and look at the numbers. There are two reasons for looking at the numbers. One is to kind of do a post-mortem there how good where we are and our forecasts not so much just to punish somebody or to watch somebody but to see there’s something wrong with the process. So when you talk about clues that you can get by looking at your past numbers and this is not just about capital budgeting this is something that you need to retool to do and you do valuation and you project out numbers and the actual numbers come in check to see the mistakes. But there’s something you can learn from the mistakes to make your process better. The other is even more critical. It’s two years into a project the numbers have come in. You have eight more years left in this project right. Your new forecasts of cash flows might be different from your original because you’ve learned something over the first two years. In fact almost always going to be different. You’re saying what am I going to do with those future cash flows. It might change what you do with the rest of the project you might abandon the project you might invest more in the project you might continue the project. Every project in that sense has to get back in your portfolio every single year it’s got to justify itself. So now let’s suppose you have a 10 year project. It’s two years into the project. So the numbers that you see the zero through after 10 where your original forecast said think of this as your whole food dining case. Whole Foods is listened to because most of you said except the project they’ve taken the project for you is it the actual cash flows have come in the actual cash flows. H0 anyone can be different from your original cash flows and the question is what do we do with that support. MARTIN But the difference now there’s going to be new forecasts of cash flows you make for the remaining eight years which can affect the choices you have on this project continue abandoned expand or sell it to somebody else. So let’s set the first part of the analysis you do evaluations of capital budgeting you project out the cash flows the actual cash flows come in there almost let me take the almost they’re always going to be different from your forecasts. Part is part of the reason this chance is things you don’t control the actual cash flows can come in different because of luck the other is bias. What kind of bias. Well people almost never forecast cash flows without an agenda. You ask a divisional manager to forecast cash flow through a project he already has a decision he’s made about whether to take the project or not. That bias feeds in and by looking at your mistakes the errors you make the forecast errors you can get a sense of which one dominates. If all you have are mistakes of it’s pure luck here’s what you should see your mistakes should cut in both directions and some of your project cash flow should come in greater than expected. Sunday should come in lower than expected. That’s the nature of mistakes. If you’re biased though that cash flows will always come in in one direction. The actual cash flows and this is almost always the case and capital budgeting usually come in lower than you forecasted cash flows. 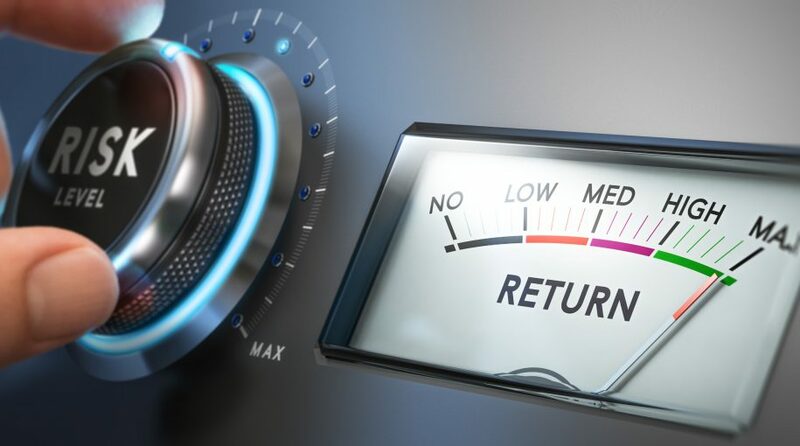 So well-established finding when people go back and look at projects that people are forecasting cash flows and projects tend to overestimate the cash flows decision makers have created their own kind of skewed mechanism for dealing with this. You know what they do is regulated the top you get cash flow forecasts from below. What do you do. Knowing that there is a bias you have got the cash flow. These guys tend to overestimate. It’s a very very very strange and damaging process because it undercuts the whole point of cash flow forecasting if people are cutting and haircutting and reducing cash flows just because this bias but the only way you would see this bias is by consistently looking at the actual cash flows and comparing them to your forecasted customers. So the reason for the post-mortem is not just punishment or reward though that could be an outcome. It’s mostly to understand if there’s bias in the process and if there is a bias what to do about the bias because there are things you can do to reduce the bias. We talked about not looking at the past stride the sunk cost issue. See if you can bring it in but let’s end the more interesting thing.